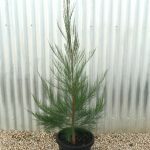 Pine-like tree 10-35m tall x 10m spread. Dense fine greyish green needle-like foliage. The trunk is usually erect, with dense rough bark. Flowers are reddish-brown in the male and red in the female. 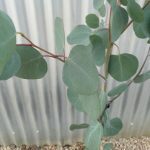 A straight trunk, rough barked specimen, it grows into a medium sized tree 10-35m tall. Flowers are small and insignificant, and born on male and female trees, and come out in Winter and Spring. 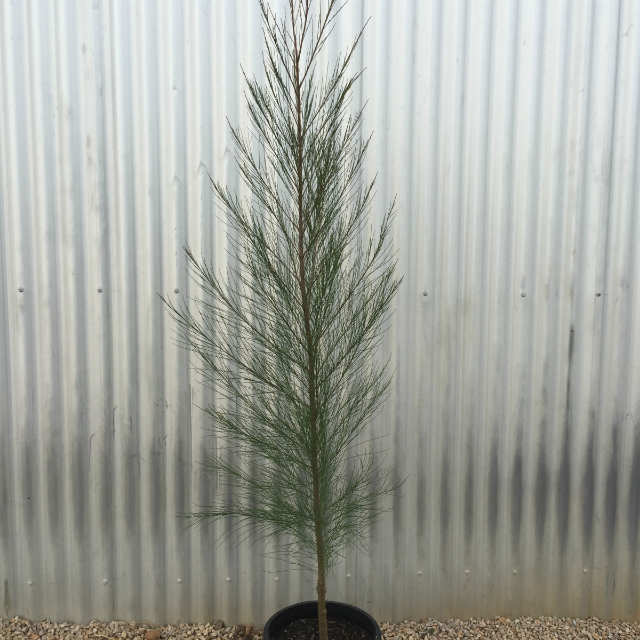 This is a good windbreak and screen tree, and also good for erosion control.